The CMS revealed that clinical decision support would be implemented in January 2020. The ruling mandates that reporting will be performed with guidelines from appropriate use criteria (AUC). This delay comes in result to the common unfavorable aspects of the original plan. Initially, level 3 G-Codes were proposed but CMS decided to move forward with something a much more simple. The program will now use consultation identifiers for reporting to simplify the process for providers. This delay will give practitioners more time to prepare and adapt to the new system. The operational shift will include educational opportunities so the requirements of the new program are unanimously understood. The system is highly anticipated but this additional time will help streamline and establish a well-designed program. The extra buffer will work out any issues so a near-perfect system can be integrated. What Does the Final Rule Mean for Radiology? The ruling also happens to contain even more positive news. 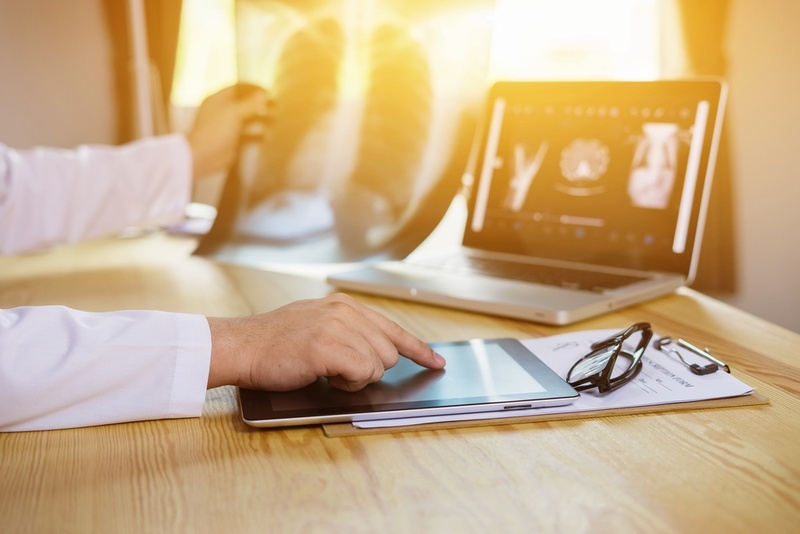 The forward-looking progression of diagnostic radiology testing is expecting an abundance of previously unforeseen benefits coming to ACR and examination facilities. The improvements that will follow the final ruling are outlined in detail below. Independent diagnostic testing facilities were expecting a decrease of 6% for reimbursement. The Medicare Physician Fee Schedule’s (MPFS) initial plan was reduced to 4% after the final rule was made. The original 6% decrease was based on relative value unit (RVU) to code changes outside of radiology and practice expenses. Fortunately, practices will experience a lower reimbursement reduction than projected. Facilities can anticipate mammography payments to remain stable for some time. Previously, the CMS increased component payment in 2017 for professional use. They did not follow through with any major cuts to RVUs regarding practice expenses and did not readdress the topic for this year’s final rule. Professional facilities can enjoy the same rates as the previous year. The Hospital Outpatient Prospective Payment System (OPPS) no longer funded the items and services for off-campus hospitals. The CMS instead provided funds for these services under MPFS at half of the OPPS rate in 2017. The off-campus payment rate in 2018 will see an adjusted reimbursement rate of 40% from CMS. This figure is down 10% from last year’s 50%, however the apparent decrease is much more favorable than the proposed 25%. The Physician Quality Reporting System (PQRS) will also see a fundamental benefit to their administrative requirements. The final rule highlights a shift from the mandatory reporting of nine measures across National Quality Strategy domains to six. The ruling also allows facilities the freedom of domain choice and the PQRS will be replaced with a new organizational structure titled the Merit-Based Incentive Payment System (MIPS). The CDS delay and MPFS final rule benefits provided by the CMS will give radiology practitioners the relief needed to successfully operate as they please. Efficiency is always at the core of your radiology practice and HIS is dedicated to offering you a more profitable future. We specialize in revenue cycle management and consulting to help any health provider succeed. Trust HIS to provide you with the necessary advice, management and updates on information important to your practice’s overall operation. Contact HIS today to get started on a full integration of high-quality service and streamlined management.